Dattatraya Kale and Murali Nair scored 2.84 masterpoints with a ★66.03%★ game at Bridge On Shea. See full results of this game. Charles Kelley and Ed Kilburn scored 1.98 masterpoints with a ★67.56%★ game at Clark Ransom. See full results of this game. Bryan Carlson and Murali Nair scored 0.43 masterpoints with a 53.15% game at In Tempo Bridge Club. See full results of this game. Jim Williams and Herbert Scholl scored 0.62 masterpoints with a 50.6% game at In Tempo Bridge Club. See full results of this game. Carreen Raine and Barbara Herzberg scored 0.20 masterpoints with a 53.98% game at In Tempo Bridge Club. See full results of this game. Merle Arlen and Robert Kreutzer scored 3.38 masterpoints with a 55.44% game at In Tempo Bridge Club. See full results of this game. Herbert Scholl and Jim Williams scored 1.90 masterpoints with a 54.72% game at In Tempo Bridge Club. See full results of this game. Lynda Strusiner and Patti Weigler scored 0.68 masterpoints with a 51.11% game at Bridge On Shea. See full results of this game. Linda Wiener and Barbara Herzberg scored 0.63 masterpoints with a 45.83% game at Bridge On Shea. See full results of this game. Charlie Kelley and Sandy Belfer scored 1.72 masterpoints with a 58.89% game at Bridge On Shea. See full results of this game. Tom Wylie and Arlene Karel scored 0.41 masterpoints with a 55.41% game at Bridge On Shea. See full results of this game. Donald Meyer and Barbara Herzberg scored 0.16 masterpoints with a 53.74% game at In Tempo Bridge Club. See full results of this game. Arlene Karel and Ron Feingold scored 0.65 masterpoints with a 51.45% game at Bridge On Shea. See full results of this game. Allen Silberman and Harvey Epstein scored 2.04 masterpoints with a 56.48% game at Bridge On Shea. See full results of this game. Dan Lavine and Eliot Minsker scored 1.15 masterpoints with a 53.7% game at Bridge On Shea. See full results of this game. Murali Nair and Ben Dobson scored 0.60 masterpoints with a ★★70%★★ game at In Tempo Bridge Club. See full results of this game. Murali Nair and Dattatraya Kale scored 1.73 masterpoints with a 57.69% game at Bridge On Shea. See full results of this game. Patti Weigler and Lynda Strusiner scored 0.72 masterpoints with a ★68.75%★ game at Clark Ransom. See full results of this game. Barbara Steiner and Sandy Belfer scored 0.21 masterpoints with a 52.75% game at Bridge On Shea. See full results of this game. Allen Silberman and Harvey Epstein scored 0.25 masterpoints with a 53.71% game at Bridge On Shea. See full results of this game. Fred Nachman and Eliot Minsker scored 0.62 masterpoints with a 57.11% game at Bridge On Shea. See full results of this game. John Anthony and Sudhakar Divakaruni scored 1.13 masterpoints with a 58.68% game at Bridge On Shea. See full results of this game. Eliot Minsker and Sandy Belfer scored 2.08 masterpoints with a 59.26% game at Bridge On Shea. See full results of this game. Herbert Scholl and Jim Williams scored 0.63 masterpoints with a 46.79% game at In Tempo Bridge Club. See full results of this game. Herbert Scholl and Peter Rubenovitch scored 2.09 masterpoints with a 56.88% game at In Tempo Bridge Club. See full results of this game. Marilynne Hartstein and Patti Weigler scored 0.50 masterpoints with a 51.4% game at Bridge On Shea. See full results of this game. Rhoda Lindzon and Tom Hansen scored 1.00 masterpoints with a 55.24% game at Bridge On Shea. See full results of this game. Dan Lavine and Eliot Minsker scored 0.35 masterpoints with a 51.92% game at Bridge On Shea. See full results of this game. Barbara Herzberg and Donald Meyer scored 0.22 masterpoints with a 54.21% game at In Tempo Bridge Club. See full results of this game. Kathey Plenge and Lois Foulds scored 0.29 masterpoints with a 51.74% game at Bridge On Shea. See full results of this game. Barbara Herzberg and Donald Meyer scored 0.24 masterpoints with a 55.85% game at In Tempo Bridge Club. See full results of this game. Peter Rubenovitch and Herbert Scholl scored 0.43 masterpoints with a 50.06% game at In Tempo Bridge Club. See full results of this game. Herbert Scholl and Peter Rubenovitch scored 2.71 masterpoints with a 58.16% game at In Tempo Bridge Club. See full results of this game. Marc Raphael and Sudhakar Divakaruni scored 1.43 masterpoints with a 58.82% game at Bridge On Shea. See full results of this game. 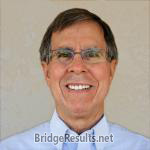 Frank Shostack and Rhoda Lindzon scored 1.31 masterpoints with a 50.93% game at In Tempo Bridge Club. See full results of this game. Allen Silberman and Harvey Epstein scored 1.74 masterpoints with a 56.48% game at Bridge On Shea. See full results of this game. Murali Nair and Diane Weissman scored 2.79 masterpoints with a 54.81% game at In Tempo Bridge Club. See full results of this game. Murali Nair and Alan Salem scored 2.22 masterpoints with a 57.18% game at In Tempo Bridge Club. See full results of this game. Allen Silberman and Harvey Epstein scored 0.78 masterpoints with a 52.64% game at Bridge On Shea. See full results of this game. Monique Greene and Sandy Belfer scored 2.45 masterpoints with a 57.85% game at Bridge On Shea. See full results of this game. Sudhakar Divakaruni and John Anthony scored 0.90 masterpoints with a 58.21% game at Bridge On Shea. See full results of this game. 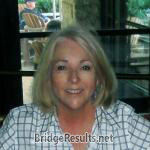 Barbara Herzberg and Kaye Kulesh scored 0.36 masterpoints with a 47.65% game at Bridge On Shea. See full results of this game. Carol Ramsey and Linda Taschuk scored 0.92 masterpoints with a 56.89% game at In Tempo Bridge Club. See full results of this game. Eliot Minsker and Sandy Belfer scored 0.21 masterpoints with a 50.87% game at Bridge On Shea. See full results of this game. Helene Drake and Sudhakar Divakaruni scored 0.25 masterpoints with a 52.52% game at Bridge On Shea. See full results of this game. Herbert Scholl and Peter Rubenovitch scored 1.13 masterpoints with a 51.17% game at In Tempo Bridge Club. See full results of this game. Don Gladman and Linda Taschuk scored 2.70 masterpoints with a ★60.97%★ game at In Tempo Bridge Club. See full results of this game. Dennis Weiland and Kathey Plenge scored 0.72 masterpoints with a 57.37% game at Bridge On Shea. See full results of this game. Marilynne Hartstein and Patti Weigler scored 0.18 masterpoints with a 48.5% game at Bridge On Shea. See full results of this game. Dan Lavine and Eliot Minsker scored 0.64 masterpoints with a 53.1% game at Bridge On Shea. See full results of this game. Allen Silberman and Harvey Epstein scored 1.50 masterpoints with a 59.57% game at Bridge On Shea. See full results of this game.